Players from Cleeve Park had a successful weekend at the recent VETTS National Championships. Chris Bartram won the men's over 50 event, despite having an injury hit season as he recovered from shoulder surgery. On his way to picking up the title, his victories included wins over higher seeds Adrian Pilgrim (England number 5), Ritchie Venner (England number 6), fellow team mate Phil cox in the semi-final, and then England number 2 Darren Griffin in the final. All of Chris’s last 4 matches went to 5 sets, and in the final he trailed 0-2 before turning it around to take the title! Phil Cox had a great run into the semi-final before losing to Chris beating highly ranked players such as Mal McEvoy, Mark Wicker and fellow top county Kent player Richard Jermyn. 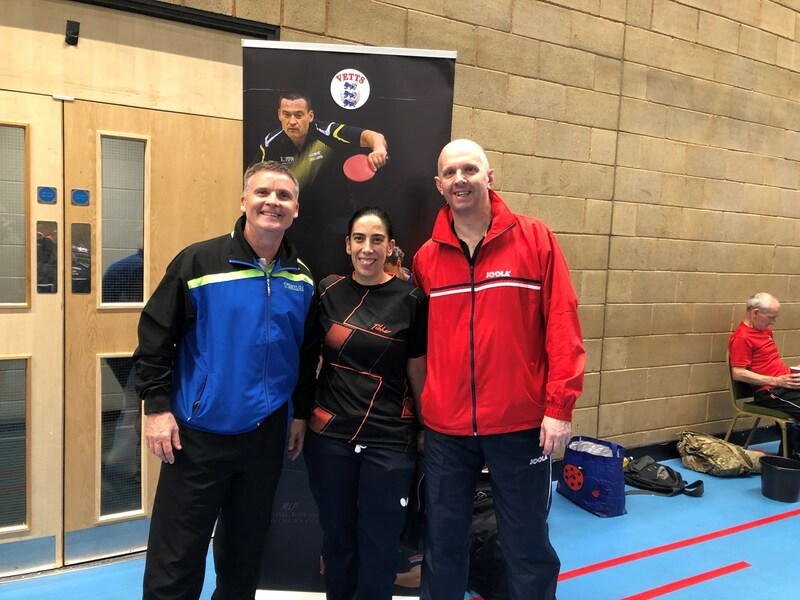 Rita Lopes got to the final of the women's over 40s consolation playing some great stuff before succumbing to the in-form Rachel Smith. After a tough group including England number 5 Sue Collier Rita had good wins in the consolation against Diane McClellan and Caroline Berkeley. Rita has shown steady improvement throughout the season after not having played any competitions for a number of years. So things are looking good at Cleeve Park and for the coming season.